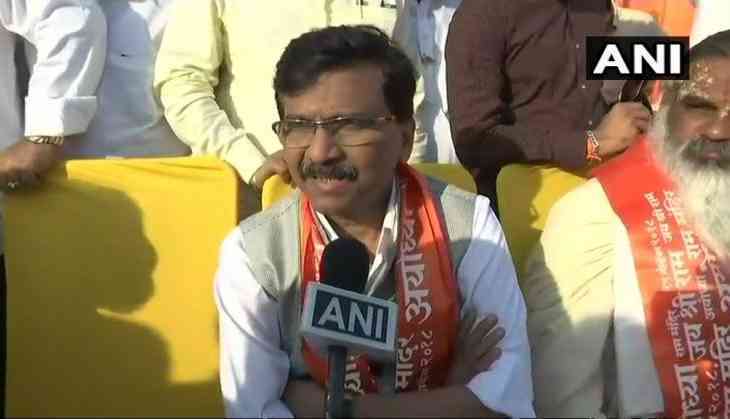 The Shiv Sena has soared up its Hindutva belief as today its leader Sanjay Raut has said that it just took 17 minutes to raze the Babri Maasjid, and it won’t take much to pass a law to build the Ram Temple. As per the scheduled plan of Shiv Sena chief, Uddhav Thackray, is bound to visit the Ayodhya on November 25 and will reverberate the issue of Ram Mandir at its core. Sanjay today siad, “We brought down the Babri mosque in 17 minutes, so how much time for a law?” and thereafter he warned the people who oppose the temple, that they might not be able to roam freely in the country as it is the need of the hour. “We brought down Babri in 17 minutes. Ram-bhakts (devotees) removed the blot that had been there for years, within minutes... toh kaagaz banane mein kitna waqt lagta hai(how much time does it take to draw up papers?) If you talk about an ordinance, then from the President's House Rashtrapati Bhavan to Uttar Pradesh, it is BJP all the way. What else do you want?” said Sanjay Raut to the reporters.